Provide comfort for the family of George Hoffman with a meaningful gesture of sympathy. 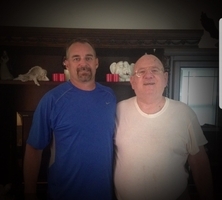 George Henry Hoffman, Jr. entered into eternal rest on February 20, 2019 at the age of 78 in Spring, TX. He was born on June 18, 1940 in San Antonio, TX to George Henry Hoffman, Sr. and Dorothy (Arnold) Hoffman. 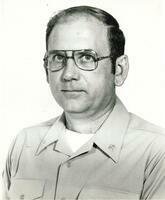 George honorably served and retired from the United States Navy. He was preceded in death by his parents; and grandmother, Clara Hoffman. George is survived by his loving wife, Shirley Hoffman; children, George Henry Hoffman, III and his wife Ronnie, Richard Waine Hoffman and his wife Michelle, and Michael Hadley Hoffman; grandchildren, Jeffery Hoffman, C.J. Hoffman, Richie Hoffman, Trenton Hoffman, Luke Hoffman, Isaac Hoffman, Miles Hoffman, Skylar Conley, and Michael H. Hoffman; sisters, Cathy Wegeman and her husband Johnny, and Jamie Estes and Robby; numerous nieces, nephews, and other relatives. Visitation will begin at 10:00 a.m. on Monday, February 25, 2019 at Finch Funeral Chapel- Stockdale. To send flowers in memory of George Henry Hoffman Jr., please visit our Heartfelt Sympathies Store.